The main service panel in your home or workplace is the central hub that connects all of the circuits together. It’s a vital fixture of your electrical system that manages the flow of current through all of the building’s wires and outlets. It ensures power is distributed safely and efficiently to all the places it needs to go. Wilmington is a busy place. People are relaxing at home, preparing for work and doing their daily chores at all times of day and night. Most of the activities we do every day require power. 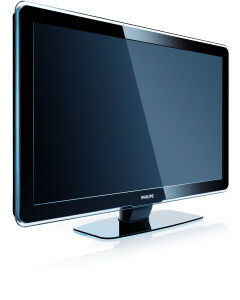 Lights, appliances and phones are just a few of the many essentials of modern city life. There are always at least a few things hooked up to the electricity at any given time, even late at night when all the lights are out. Do I need electrical panel replacement or repair? Circuit panels aren’t meant to be fixed when they break. Shorts in the external lines and other types of minor damage can sometimes be mended, but damage to the fixture itself usually means you need a complete service panel replacement. It’s a matter of safety as well as convenience. When old boxes break, it means it’s about time to get a new one that can handle the load of newer and more powerful appliances. It’s possible for a new panel to break because of a defect or improper handling, so you won’t always need to upgrade to a more recent model. Why and when do I need an electrical service panel upgrade? Your circuit panel is busy providing power to your cell-phone charger, alarm clock, air conditioner, refrigerator and many other things while you are fast asleep. It doesn’t get any rest, so it’s only a matter of time before wear and tear does enough damage to significantly decrease performance. Some may last for a decade or more before they stop working, although we don’t recommend you go that long without upgrading your main panel! 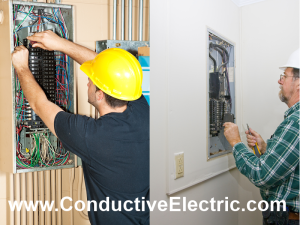 It’s important to have regular service panel upgrades in your home and office. The main service panel needs to be able to handle the strain caused by all the new and improved gadgets, appliances and other devices that require an electric power source. In fact, some things won’t even turn on unless you have a 200 amp panel to support them. Product manufacturers usually inform you when this is the case. If you don’t remember the last time you had the panel replaced, then it’s probably time for a new one. Old, outdated panels may not distribute power efficiently and could also be a serious fire hazard in your home. 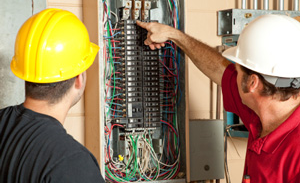 Feel free to contact Delaware Electrician to ask about the viability and safety of your current panel. Our experienced contractors can evaluate your home’s power requirements based and compare that to your panel’s capabilities. We can also do rush jobs for emergencies when your panel suddenly stops working, completely cutting off power to your house. Not having power for a few hours is aggravating, but losing your electricity for several days is a massive inconvenience. It basically puts your life on hold until you restore it. That’s why you should call Delaware Electrician to make an appointment for an inspection or request immediate service panel replacement. We won’t leave you stranded without powers for days on end. We’ll schedule you as early as we can to get your power back on so you can move on with your life.